The Rising Star Awards recognize technology companies with exceptional sales growth through U.S. distributors over the past year. Global Technology Distribution Council (GTDC) members are the world’s leading technology distributors, driving more than $130 billion in annual product sales worldwide. This year’s awards were presented in Burlingame, Calif., during the annual dinner event kicking off the 2016 GTDC Summit U.S. conference at the Hyatt Regency San Francisco Airport. This year, 16 GTDC Rising Star winners were selected in the eight categories. Two winners were honored from each of these eight categories based on the highest total market share and year-over-year growth rates within The NPD Group’s Distributor Track. Veeam was named a Sector Market Share Champion in the Network Software category. Available by subscription, the Distributor Track aggregates actual distributor sell-through data to enable sharp insight into channel sales and pricing trends with the ability to dive into SKU-based details and drill down into specific product subcategories, including detailed attributes based on specific areas of interest. To be eligible for a Rising Star Award, vendors are required to have sold corresponding products through technology distributors for a minimum of two years and sell through at least two GTDC members. Over the last decade, IT has become strategic for every organization and business requirements for IT have changed dramatically. To stay competitive today, businesses need to provision IT services faster, strengthen security and control, lower operational costs and increase business agility. To meet these requirements, businesses are building modern data centers by investing in technologies such as virtualization, modern storage and the cloud. By leveraging this investment in modern data centers, businesses can satisfy a number of demands from end users: 24/7 access to data and applications, no patience for downtime or data loss and exponential data growth. In fact, many companies are seeing their data explode at a rate of 30 – 50% each year. CIOs report that businesses are increasing their requirements to minimize downtime and guarantee access to data. We call this the “Always-On Business approach.” Veeam recognizes the new challenges companies across the globe face in enabling the Always-On Business. To address this, Veeam delivers Availability for the Always-On Enterprise by helping to ensure recovery time and point objectives (RTPOs) of < 15 minutes for ALL applications and data. When it comes to innovation, value and customer satisfaction, Veeam is the clear leader. We proved this to be true on Aug. 23, when we made the biggest announcement in Veeam’s history – illustrating our expanded vision by unveiling many new features and products, including Veeam Availability Platform for the Hybrid Cloud. If you weren’t able to attend the live online event, you can play the recorded breakout sessions to discover more new offering specifics from our technical experts. And let’s not forget NEW Veeam Availability Suite 9.5, which has created more interest than any other product launch in the history of Veeam! With the release quickly approaching, now is the perfect time to learn more about 9.5’s newest features including enterprise scalability enhancements, full integration with Microsoft 2016 data center technologies, Direct Restore to Microsoft Azure and more! Register today to be the first to know when NEW Veeam Availability Suite 9.5 arrives. 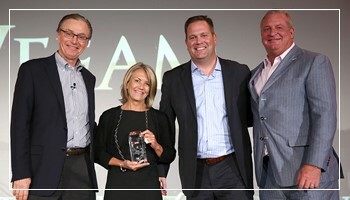 We are excited about our growth and proud to be recognized by industry leaders!